October, 2013 | Matt's Blog. There has been quite the fog that has blanketed this city these past few days. Got off work late, but still mustered the energy to go out for my normal run this evening. Running through a fog as dense as the one we've seen is a surreal experience. The air felt nice. I thought of nothing tonight. What did it for me was when 'The Wolves (Act I and II)' by Bon Iver kicked into my earphones during the middle of my run. Pro-tip: your jogging playlist does not need to be comprised of only fast paced music. Photography isn't a medium I'm normally comfortable with, but if a picture could capture the cinema of my day, it would be that. Due to my terrible A.D.D I have resorted to going back and blogging in point form again. Durr. I decided to go back to school next fall, after giving myself a year to figure out if my current trajectory right now is going to be something I wanted to continue with for another year. And while it isn't bad, I realized that it wasn't enough. Right now I'm taking the pre-requisite courses towards the HR program at BCIT. It's a little weird going back to school after being out of it for a while. But at the same time, there's something very comforting about being in a classroom again. I've always enjoyed school, and I think this time around I'll make it count a little more. What's worrying me right now is getting everything in on time and getting accepted. I've got four more pre-requisite courses to complete starting in January and even then I'm not sure if those courses will finish on time for me to make it into the final spots and avoid the wait list. But I'd be stupid not to take that chance. After re-evaluating and thinking about things, I think I need to go back and work on myself for a bit. …despite that, I feel like splurging on something right now. Damn the consequences. I think some of you know what I've been thinking about lately. I can't wait for Freak Night. I need to get out of this city for a weekend and surround myself with good people. 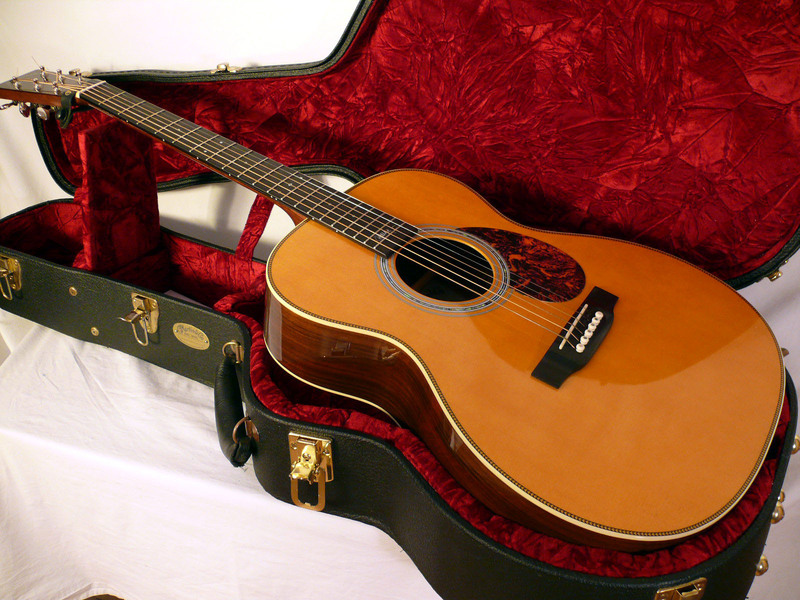 I don't mean to turn this into a Pinterest page but… the Martin OMJM acoustic guitar. I want this in the worst way ever.